A pair of C19th narrow edge gilt framed mirrors with mercury plate. 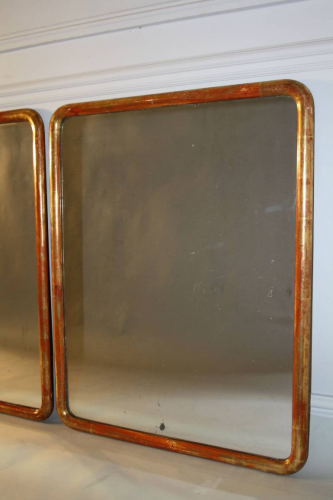 A lovely pair of narrow rounded edge gilt wood mirrors with original mercury glass plate. French C19th. They can be hung portrait or landscape. The mercury glass plate has a lovely sparkle to it in places and is clear and clean with very minor age spots.